When we stepped on the airplane to Peru in February 2010, we had no idea the trip would lead us to developing a nonprofit organization. We thought we were just visiting Francisco’s family, whom he hadn’t seen since 1994. Francisco’s sister, Maria, lives in San Ramon, in the beautiful province of Chanchamayo, gateway to the jungle. She told me (Glennys) about the San Manuelito School for children with severe disabilities and, as a special education teacher, I wanted to see it. It’s the only school for children with disabilities in a large area and I was deeply touched by my visit. The children were out of school for their summer vacation (their seasons are opposite ours) and I was shocked by the lack of materials and supplies. Their only wheelchair was made of bicycle wheels and a lawnchair seat. We went home and immediately made plans to return. ​ Our next trip was October of the same year. We took blankets donated by children at Granger Christian Church, West Valley City, UT; toothbrushes donated by our dentist, Dr. Brandon Robison, West Jordan, UT; stuffed animals donated by friends, as well as school supplies and about $1000.00 donated by family, friends, and co-workers. 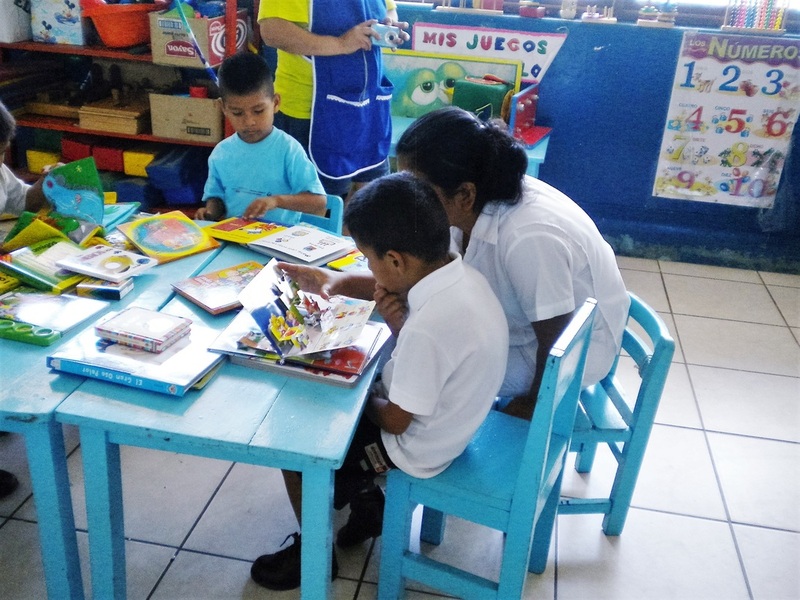 We were able to purchase children’s picture books, baking supplies for older students learning to cook, a wheelchair, a walker, and a baby stroller, as well as other educational and therapeutic materials. 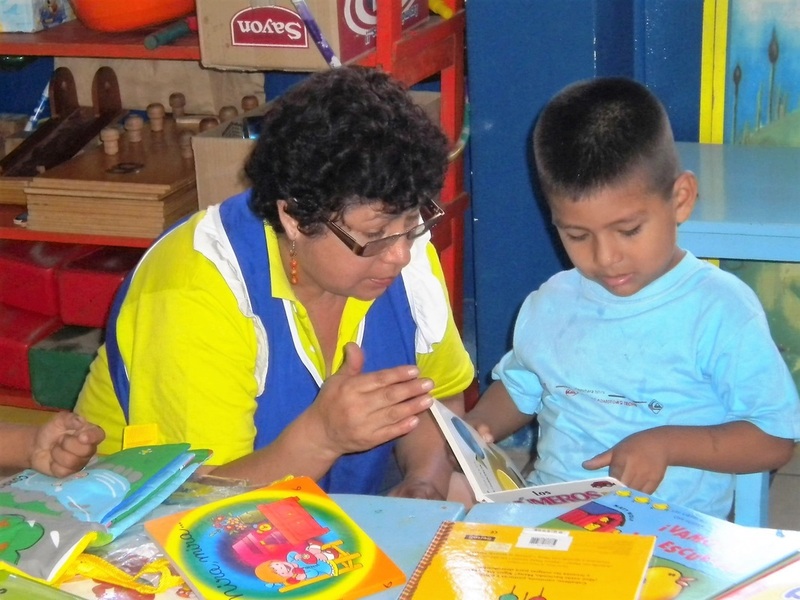 The highlight of our trip was seeing teachers read books to the children for the first time. Our 14-year-old grandson, Richie Jeffs, delivered his Boy Scout Eagle project to San Manuelito. 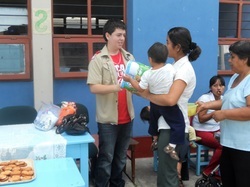 He had collected materials for hygiene kits for families of the students. We also purchased a therapy table for the physical therapist at the school and took toothbrushes, toothpaste, bags of school supplies for the teachers, and a variety of materials for use with children with autism. 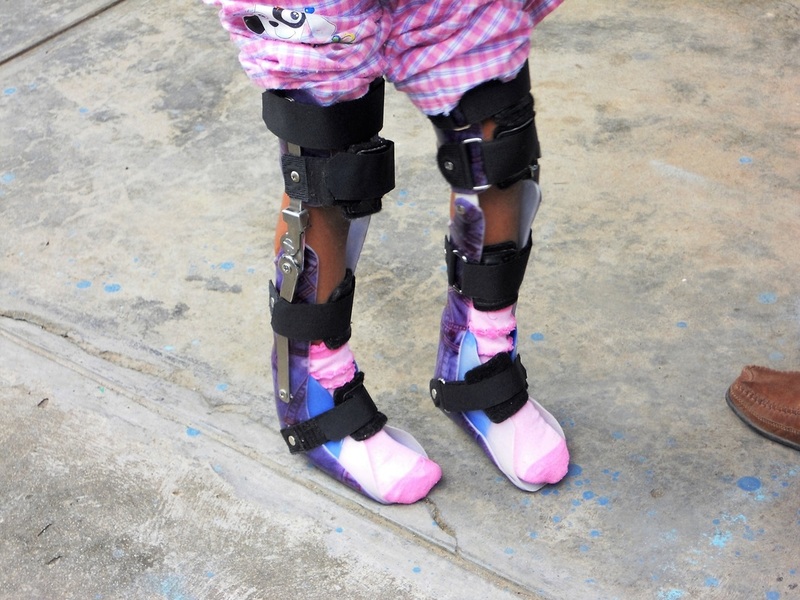 We got to see a five-year-old walk for the first time, and took 36 pairs of leg braces donated by students and parents at Kauri Sue Hamilton School for children with severe disabilities in Riverton, Utah. We were unable to take them all at this time due to limited space in our suitcases. We also took 60 school bags painted by children at our church and by a local lady with cognitive disabilities, as well as bags of school supplies for teachers, toothbrushes and toothpaste from our dentist, and a variety of educational and therapeutic materials. We felt an increasing sense of mission in Peru and, following this trip, I retired from my career that I loved as a special education teacher in Jordan School District, West Jordan, UT. We began to make plans for more extensive involvement with the San Manuelito School. Tim made his first trip to Peru and it was my first trip as a retired teacher. We took the remainder of the leg braces. 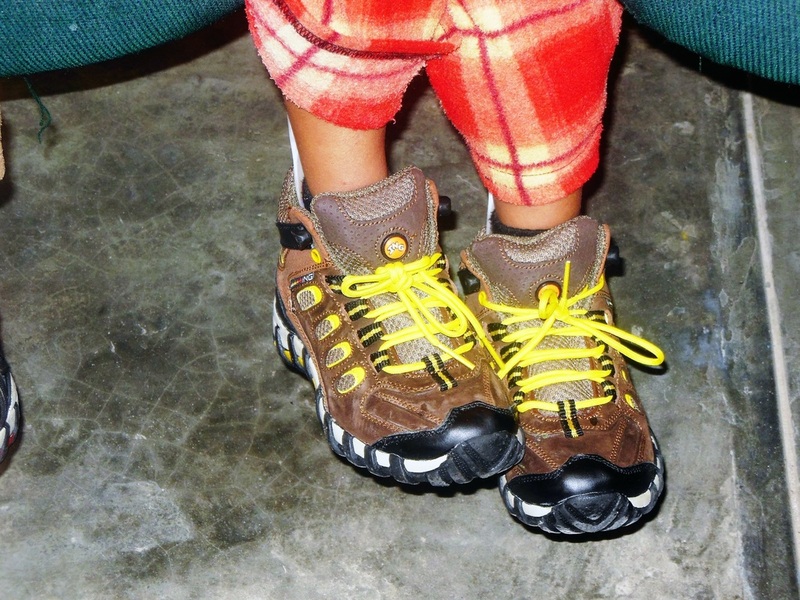 Christian Palomino Vento, the physical therapist, fit them to several students and we bought shoes for six children to fit over their new braces. We also took toothbrushes, toothpaste, and several low-tech augmentative communication devices. We did two teacher training sessions and bought five baby strollers for young children who could not walk. We purchased flour, eggs, and vanilla in bulk for a class of older children learning to cook. We also paid a carpenter to build a changing table for a teacher who was hurting her back bending over to change preschoolers’ diapers. We added our second school, Senor de los Milagros, in Huancayo, high in the Andes mountains. 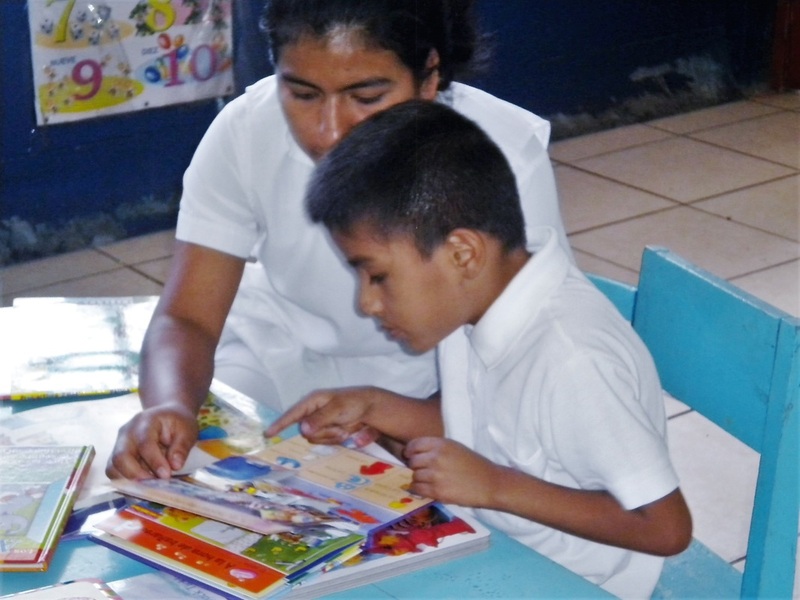 This school serves children with severe to profound disabilities. We visited the school, met the students, and talked with the director about some of their needs. We also helped an impoverished grandmother in San Ramon, caring for two adult children and a grandchild, all with severe disabilities. 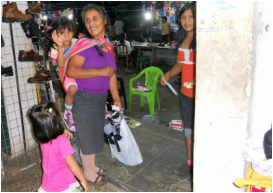 We purchased materials to help her set up a (very) small street vendor business selling “panchitos” (similar to hot dogs on a stick) to supplement her income. We bought shoes for children who had just received new braces, purchased a wheelchair for a child at San Manuelito, and worked in classrooms and trained teachers in curriculum for non-verbal students. We also took toothbrushes and toothpaste donated by our dentist, Dr. Brandon Robison, West Jordan, UT; computers donated by Affordable Laptops, Riverton, UT; as well as surplus augmentative communication devices donated by Canyons School District, Sandy, UT. ​ At San Manuelito, we met Ariana Small, a dedicated young woman from New Jersey, who has since become a member of our board. Ariana was there as a volunteer with The Foundation for International Medical Relief of Children (FIMRC). She graduated from Muhlenberg College in Pennsylvania last year with a major in psychology and double minors in Spanish and international health and has recently been accepted into a doctoral occupational therapy program. This trip we added two early intervention programs for children with disabilities, one at the San Manuelito School, at the entrance to the jungle, and one in Huancayo, in the Andes mountains. 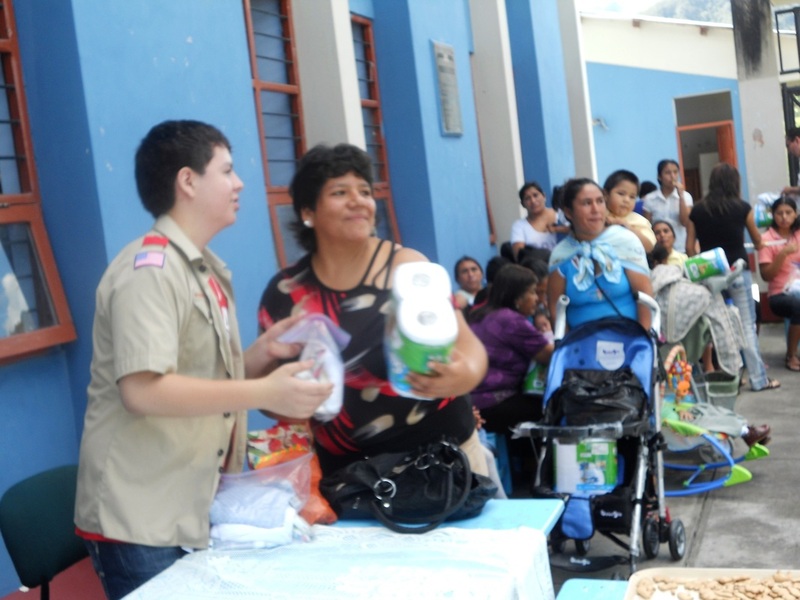 We bought a wheelchair for a 16-year-old boy in Huancayo, Jefrey, who has cerebral palsy and has used a small child wheelchair at school for many years. He was excited. He cannot talk but made loud, happy sounds as he sat in the chair. Jefrey has had to stay indoors on a couch after school every day because his single mother and grandmother are unable to lift him. We took him for a walk around the neighborhood in his new wheelchair and it was pure joy. Our biggest project at San Manuelito was the Richie Jeffs Playground, in memory of our grandson who died in 2014. 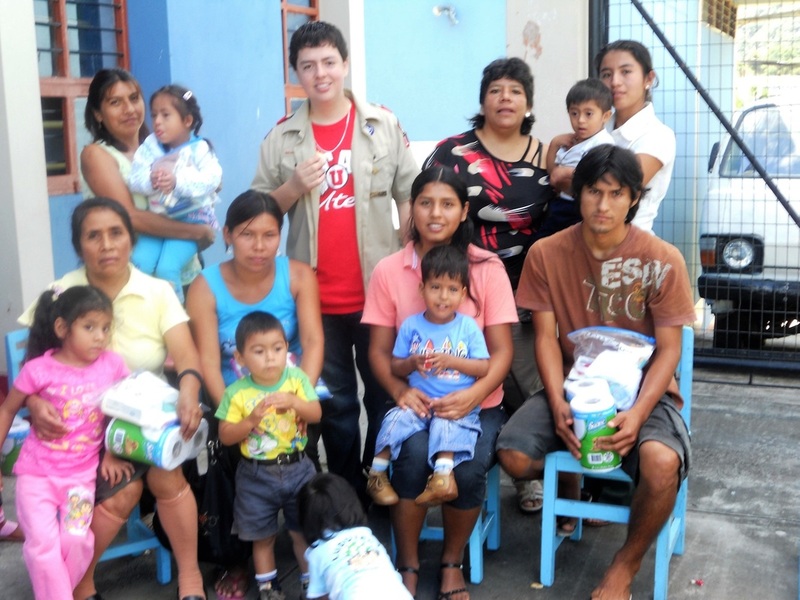 Richie completed his Eagle Scout project at San Manuelito in 2011 and his dream was to return to Peru. 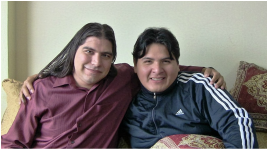 In March 2015, his mother, Gloria, a Peruvian native, went there and used Richie's savings to purchase a merry-go-round and slide for the school. The parents' group built a roof over it and when we arrived, we discovered that about 20 university students volunteering with the Foundation of International Medical Relief of Children (FIMRC) had painted a beautiful sunshine and flowers on the surrounding walls. We hired a contractor to lay a concrete base over the area and cover it with playground turf. We also took braces to San Manuelito, donated by families of children with severe disabilities at Kauri Sue Hamilton School, Riverton, UT, and then took several children shopping for new shoes. We again took toothbrushes donated by our dentist, Dr. Brandon Robison, West Jordan, UT; and two computers donated by Affordable Laptops in Riverton, UT; and we trained teachers in strategies for dealing with behavioral difficulties in autism and other disabilities.